Tenant Storage NYC. Complementary Layouts, Generates Good Revenue, Lowest overall cost. Lifetime Warranty. 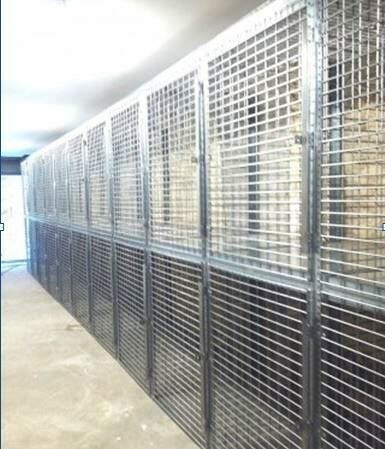 Tenant Storage Cages for Residential Buildings, Offices and Storage. Located in new York City, Tenant Storage NYC provides complementary on site layouts or online. Manufactured with 4ga welded wire in durable galvanized or 5 standard powder coat colors. 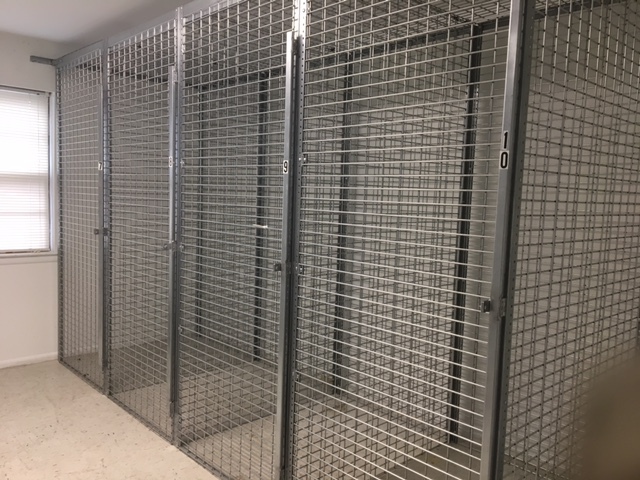 Each tenant storage cage comes with the industries only full height anti-theft lock bar. Hinged doors can be 3′ wide or 4′ wide with welded hasps for padlocks or cylinder locks. Tenant Storage Cages can be delivered quickly in single tier – full height or double tier – stacked. Both are extremely popular in the five Boroughs. The size of the tenant storage cages depending on the number of cages needed and space available. Our Complimentary Layout will help you to create a space saving, Code Compliant layout at the lowest overall cost and best warranty in the business. Tenant Storage NYC Generates excellent Revenue. Today most developers, landlords, Co-op and Condo boards charge a monthly rental rate for on site tenant storage averaging from $85.00 to $300.00 per month depending on the size of the units. Residential buildings with 40 tenant storage cages renting out on average at $125.00 per month will generate $60,000.00 per year in Maintenance free revenue. The ROI (return on investment) is very quick 5-6 months on average. 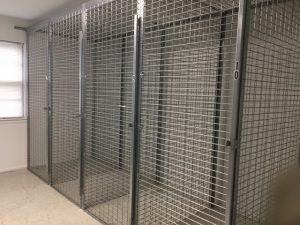 Tips on buying tenant storage cages. Naturally rice is very important, Here’s some tips on other checklist items. Warranty, Check the fine print, is it 1 year or lifetime? Does it include parts and labor? The best warranty is lifetime warranty on parts and labor. Look on the literature and quote to check the wire gage of the welded wire. 4Ga. is the thickest and recommended, 10ga is half the thickness of 4ga. With todays technology 4ga is less expensive than 10ga. 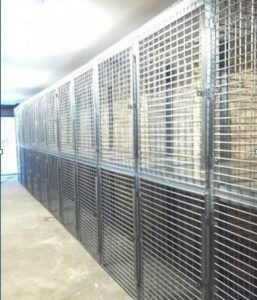 Request welded wire tenant storage cages. Woven wire tenant storage cages can unravel when cut to get around piping etc. Insist on 4ga welded wire tenant storage cages. Double the thickness of 10ga. Increased security at no extra cost. Lifetime Warranty. LockersUSA.com is based in New York City. Our team provides on site or on line Complementary layouts six days a week. Sales@LockersUSA.com or P(917)701-5795. Tenant Storage, Tenant Storage NYC, Tenant Storage Brooklyn, Tenant Storage Queens NY, Tenant Storage Bronx, Tenant Storage Cages NYC, Tenant Storage Lockers NYC. Tenant Storage delivered daily to NYC, Brooklyn, Queens, Bronx, Staten Island, NJ, New York City.